It’s been less than 2 months since the beginning of the year, and we had a lot going on here in Adguard. These couple of months were very productive – we managed to release updates for all our products. In this post we gathered all recent releases that you might have missed. It’s impossible to briefly tell about all its changes. That is why here is a link to the post on the brand new version of our program. Check it out. 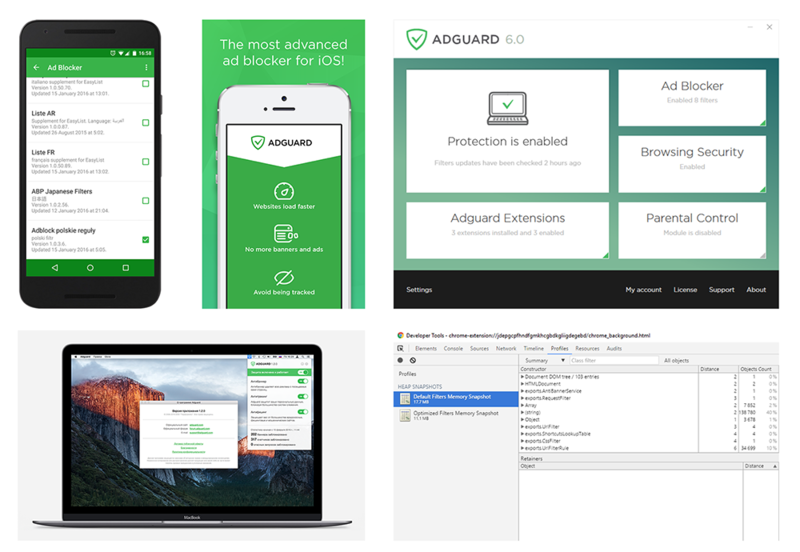 As you can see, whatever Adguard you use, we have a new version for you. Update now! And stay tuned. A lot more exciting updates are on the horizon! Now some good news for Mac users – here is an update of Adguard for OS X.
Interactive Advertising Bureau (IAB) posted a peculiar guideline, which goal is to help publishers fight against ad blockers.